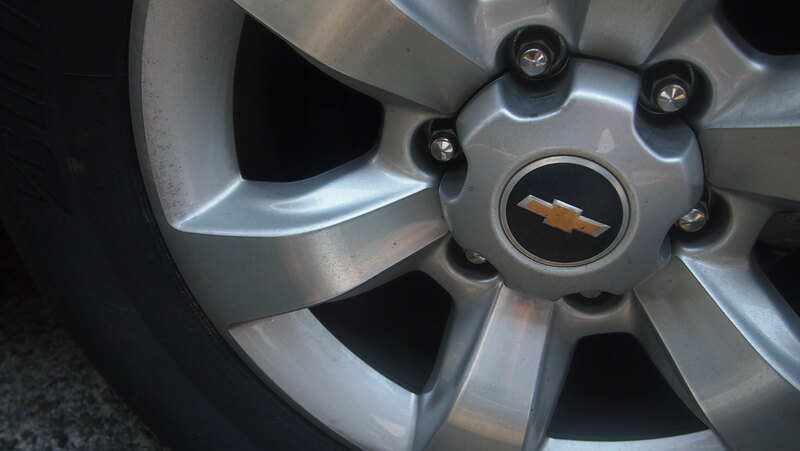 Y's 5th Birthday and Our Chevrolet Trailblazer Test Drive Weekend! My little achi turned 5 two Sundays ago! Time, hindi ka naman masyado nagmamadali noh? Pwedeng pause muna? Hindi ako makahabol e! We celebrated in school two days before her birthday with one of her best friends as they share the same birthday. Just like last year! But this year instead of a bento snack, I had cupcakes made by a friend her Tita Hani's and ordered spaghetti from McDonald's. Two girls with the same birthday but with totally different personalities. 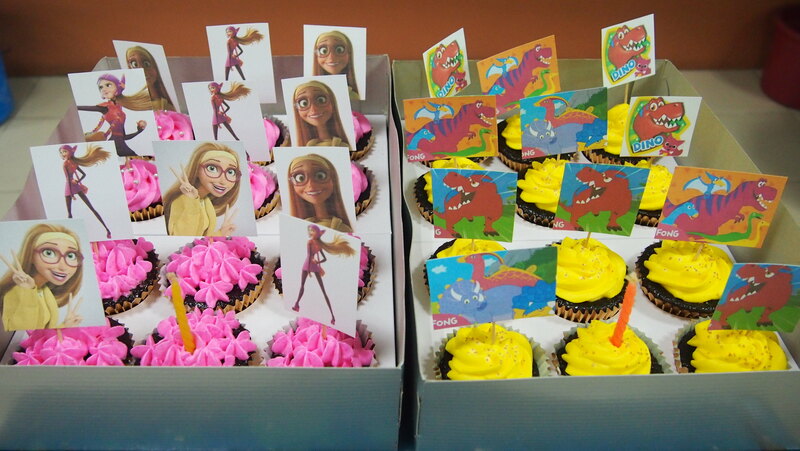 Obvious naman sa theme ng cupcakes diba? Y wanted Honey Lemon of Big Hero 6 while M wanted a dinosaur themed anything! Their class sang them Happy Birthday in three languages haha! Mandarin, English and Filipino! Each of their classmates got to take home a cupcake, a small bag of candies, and spaghetti. Ang saya nila! 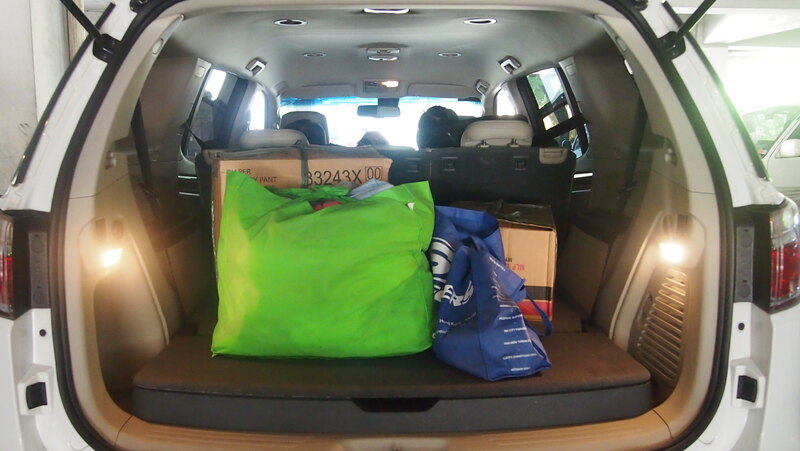 When we got home from school, the Chevrolet Trailblazer we were going to test drive for the weekend was already delivered! Wuhoooo! I really scheduled our test drive on Y's birthday weekend, we were supposed to go to the beach but something came up that we had to postpone our trip but good thing talaga we had a Plan B! 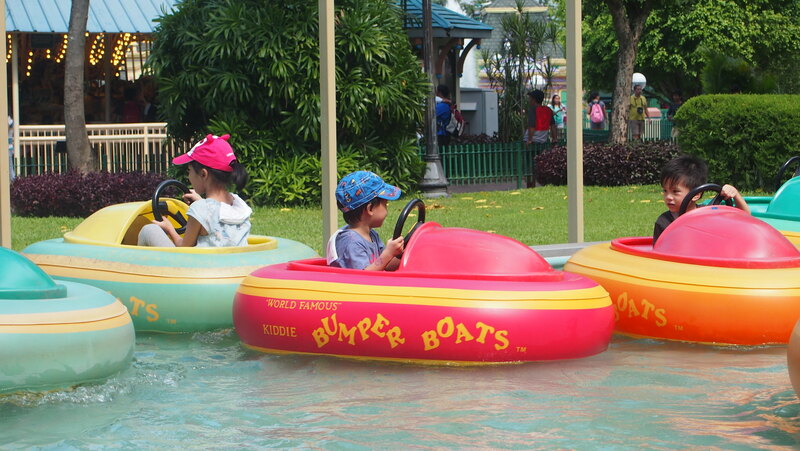 The kids were so excited when I told them we were going to test drive a new car! I have been driving the same car for 10 years, from college days to now that I have a family. Our needs even for a car changes as our family grows. Driving the Trailblazer for a weekend certainly made us (not want to return the test drive unit heehee!) want to buy one as it is so perfect for our family! 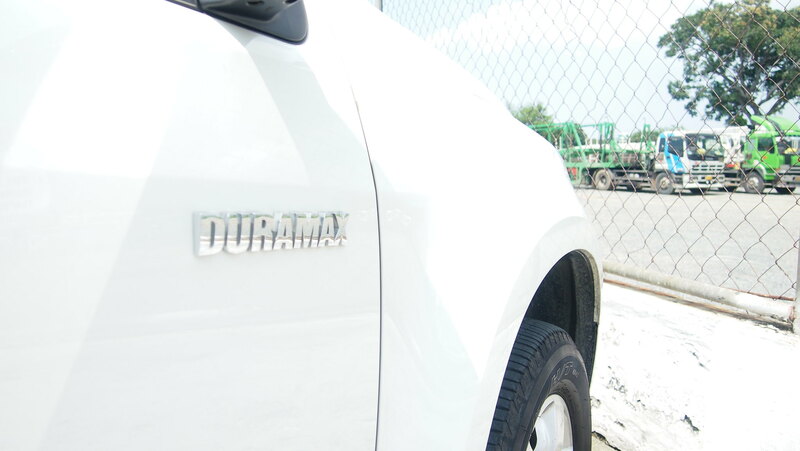 The Chevrolet Trailblazer runs on a Duramax Turbo-diesel engine paired with a retuned six-speed automatic transmission with Active Select resulting in the Trailblazer's optimal performance and fuel economy. It also has a 8-crossmember ladder chassis configuration with 800mm water capability (READ: baha! ), 3-ton towing capacity and 5-link rear suspension system. Of course we don't have our cars to always go thru baha but it's nice to have that security diba? 18" alloy wheels for this very pogi SUV. Did you know that the blue LED illuminated gauges are Camaro-inspired? So it's just fitting that R calls it "Transmormor" (Transformers) because we told him that the Camaro "Bumbumbee" (Bumblebee) is also Chevrolet. Heehee! 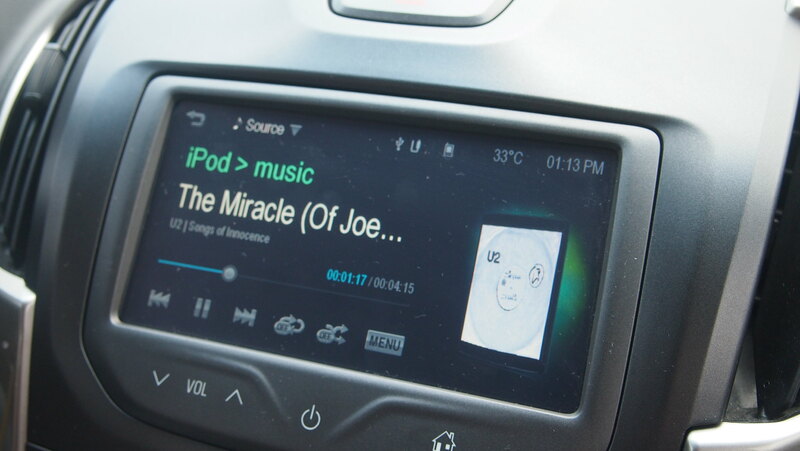 I love the dashboard! Feeling ko nasa spaceship ako heehee! And love how it has so many compartments! 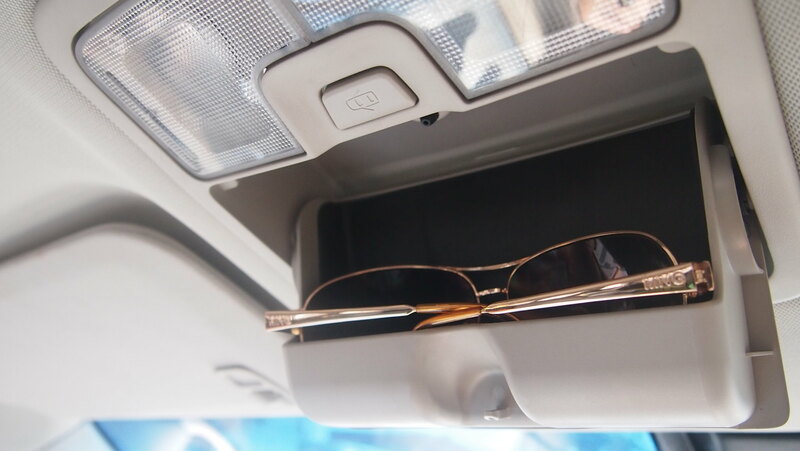 And this compartment for my sunglasses! The back is so wide and spacious! This would be so perfect for long trips with kids when I have to bring my "whole house" with me or when I decide to join bazaars again. I can already imagine everything (stocks and tables) would fit at the back. Oohhhh universe, I'm claiming this Trailblazer! 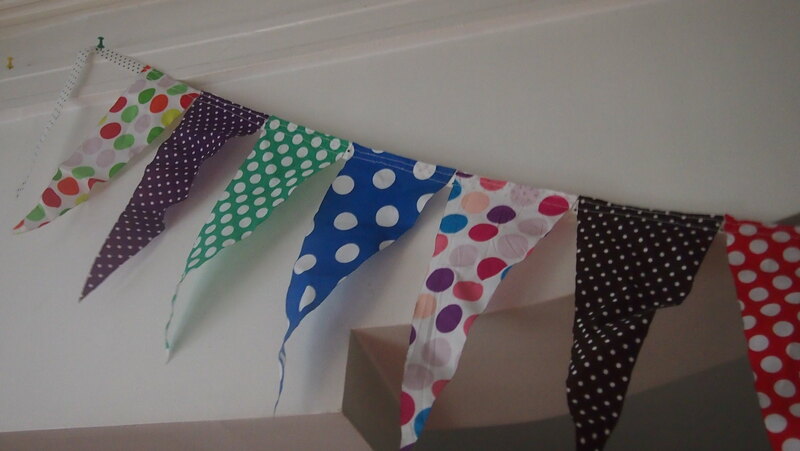 On Y's birthday morning, I woke up extra early to put up buntings, it's a good thing I have ready made one from Ant's Pocket which we use every time there's a celebration. 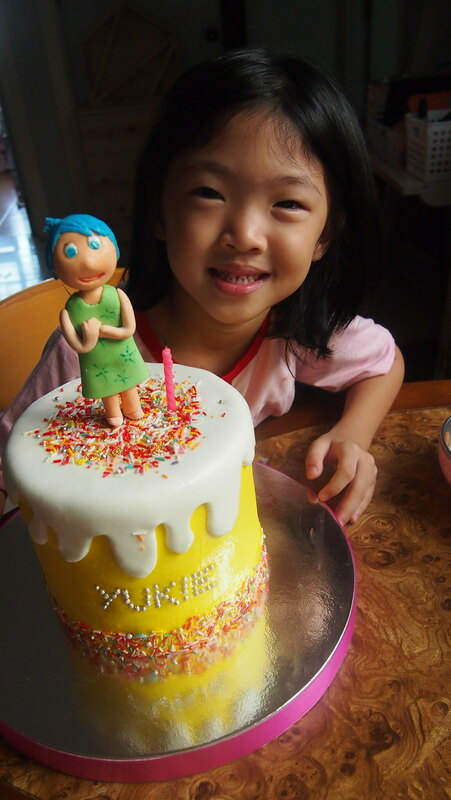 Y woke up an hour after I did and took out her birthday cake which has been sitting in our refrigerator for two days hehe! And waited for R and their papa to wake up so we can all sing Y a Happy Birthday! 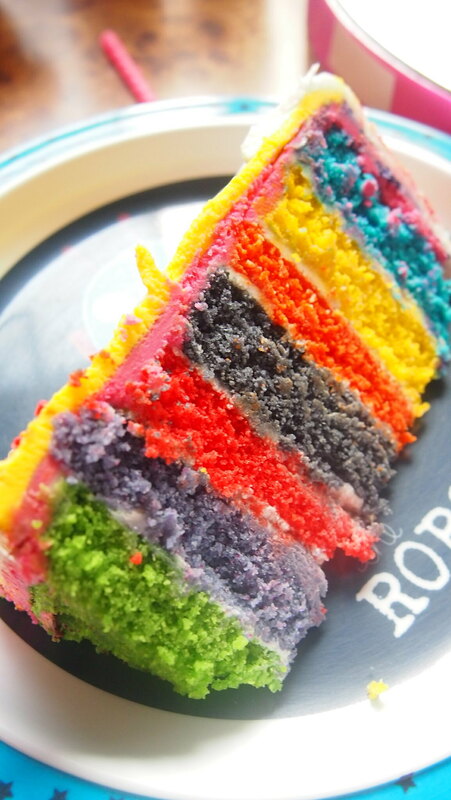 Joy Cake by Empire Cakes. Check out her FB Page and please like it! Heehee! 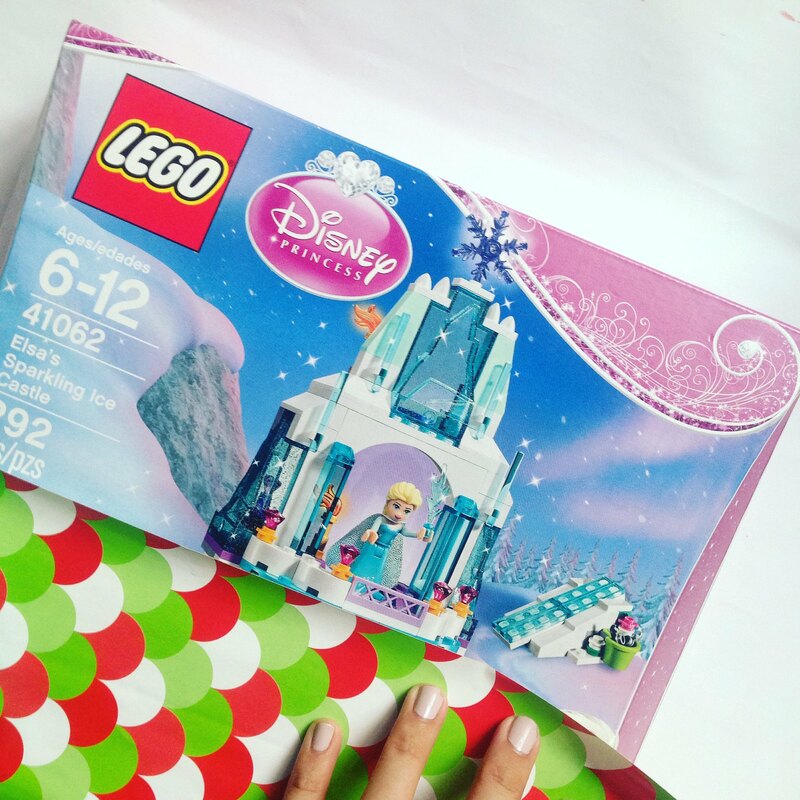 She opened her gift which I bought months ago and only got to wrap it the day before. Thank you Tita Jenny for buying this for Y! 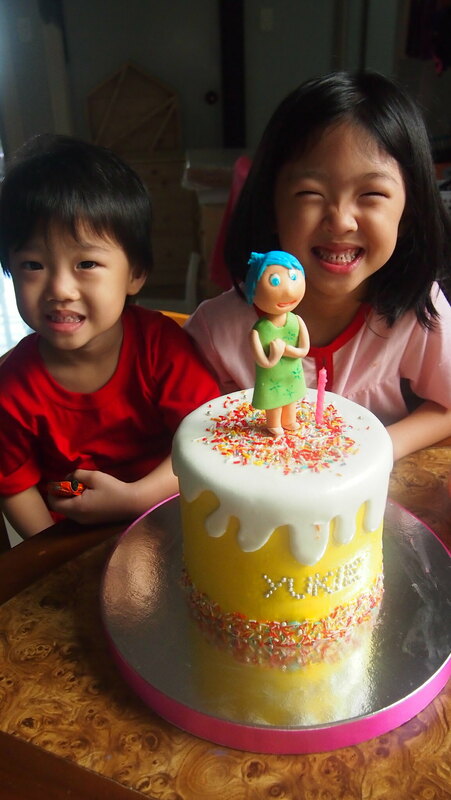 Y and R happily posed with the cake. 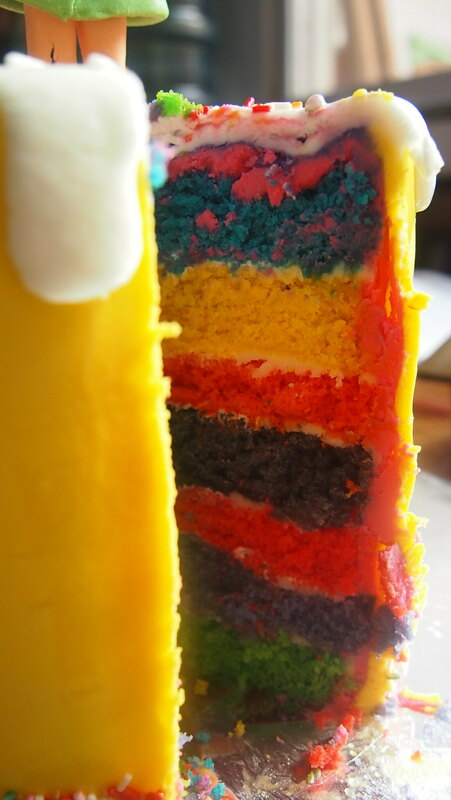 And shared a slice of the rainbow cake. Yum! 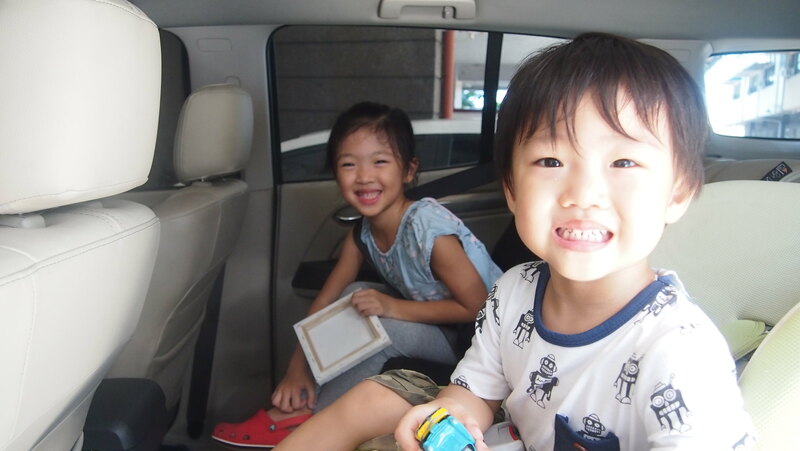 After giving them a bath and getting everything else ready, I went down to the car ahead of the kids to put the car seats in the car. 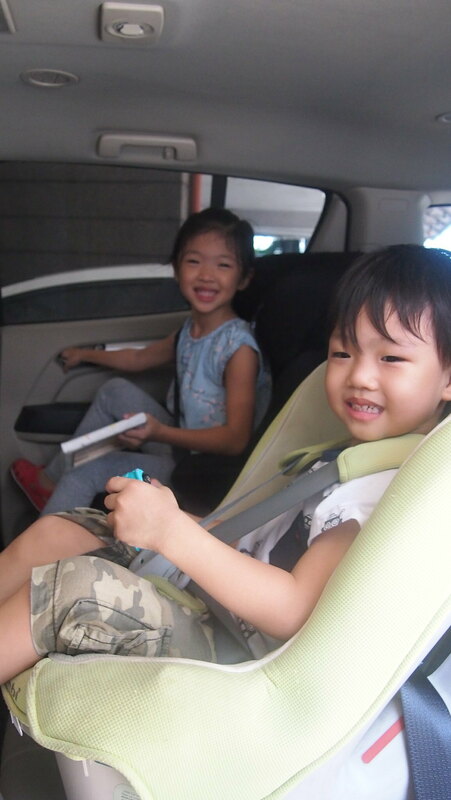 We always travel with car seats for safety. We are looking into buying a new one for R, can you recommend any brands? Ok back to the car heehee! I love how they have so much leg room even with the car seats on. 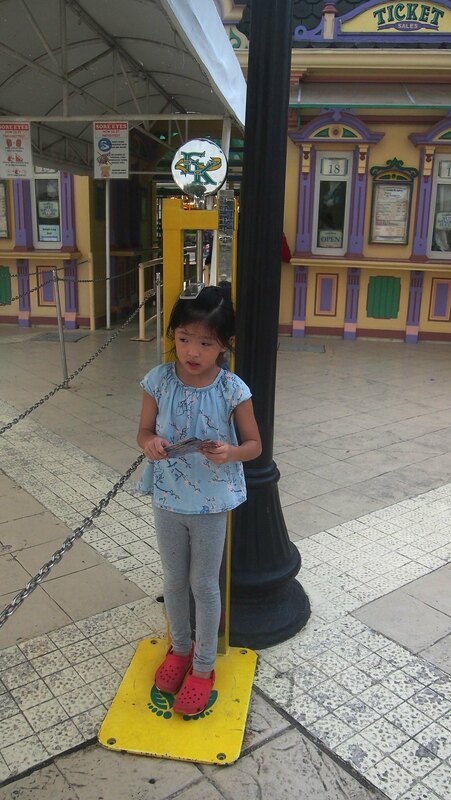 Picture muna before we left and one of the key features I have highlight, we always make sure child lock is "on"! 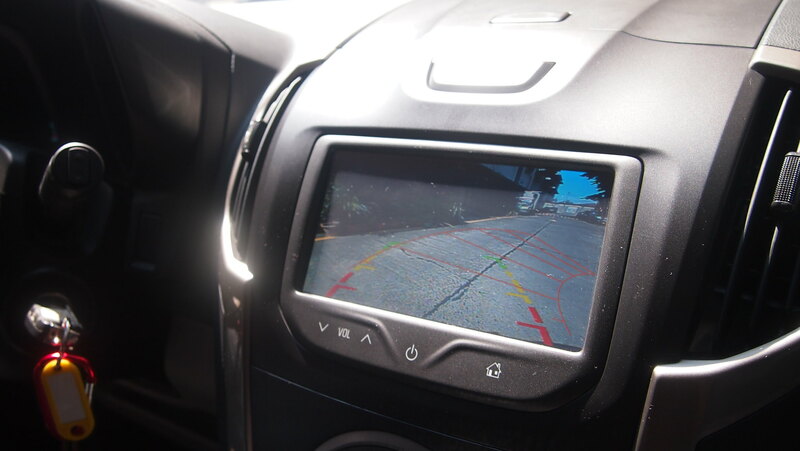 As we drove away from our parking lot, (sorry medyo ignorante heehee), we were all amazed by the reversing camera with rear sensors (that goes tootootootooooooo! Hahaha!) and a rear mirror with a 4.3-inch chromatic LCD. I can play videos and music from my phone via the Mobile Connect! Wish I had more music and videos on my phone though. Hehe! You can use it to call, send SMS and use GPS applications like Waze! Chevrolet is providing free 3GB per month of Globe Tattoo 4G internet for the first 12 months of usage! Ang galing diba? 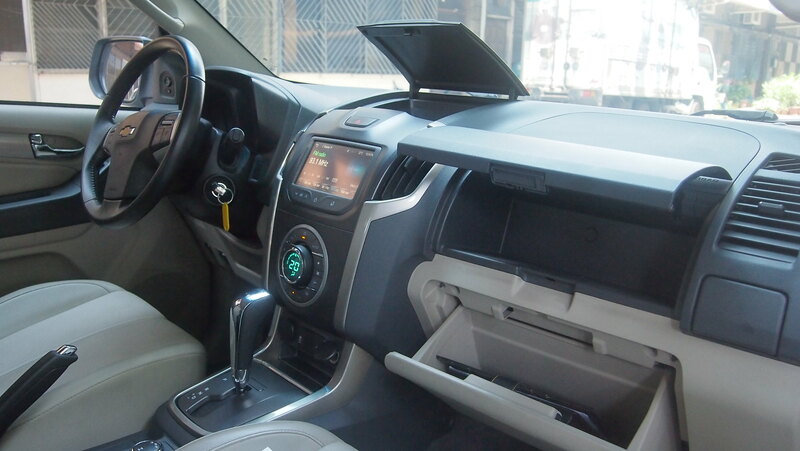 The Chevrolet Trailblazer also comes with a dash camera with 32GB of memory! 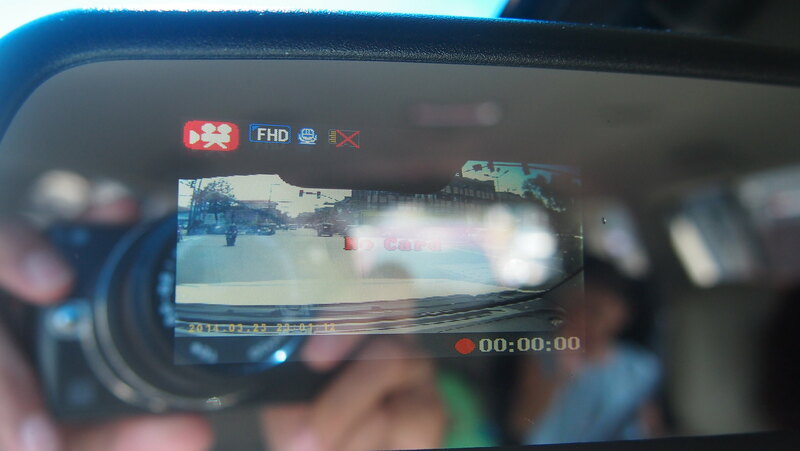 You can record your road trips and traffic events for a more reassuring drive! 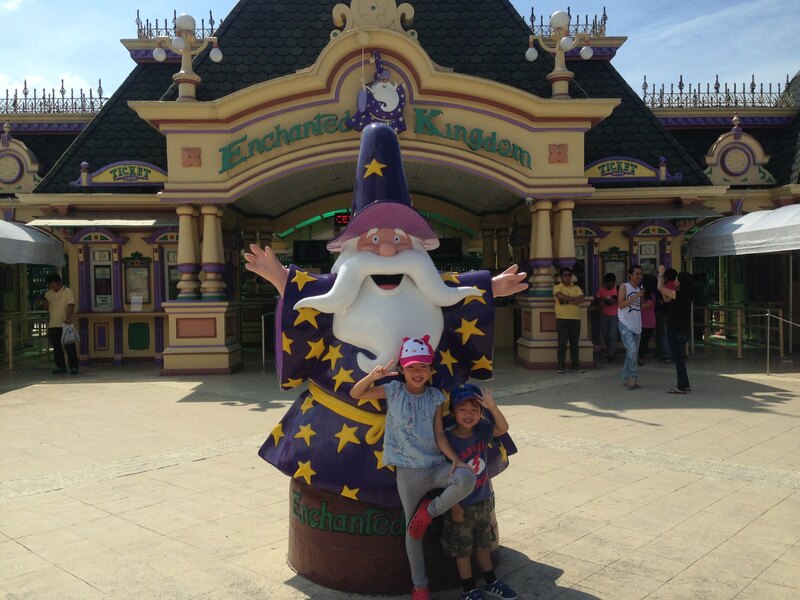 Our Plan B for Y's birthday was to take the kids to Enchanted Kingdom! Wuhoooo! 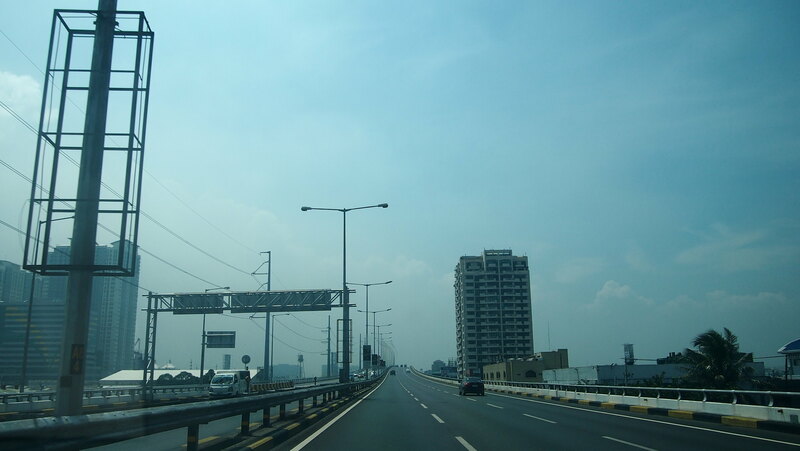 By the time we were in SLEX, it was almost lunch time and it was so hot so BOS said mag Nuvali muna kami! R hasn't been to Nuvali yet, well he had been but he was just 3 months old pa lang and we were also celebrating Y's 2nd birthday. It was Sunday thus the drive was fast. I knew BOS would love the Trailblazer at first drive. This is his kind of car: medium sized at mabigat! 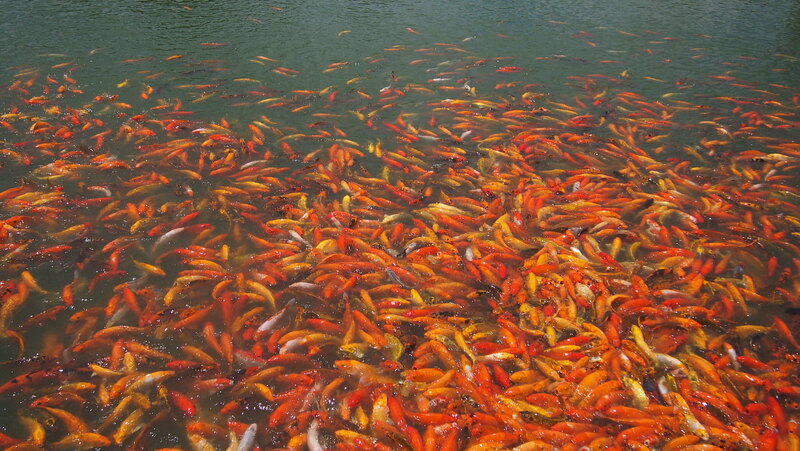 Fish feeding! 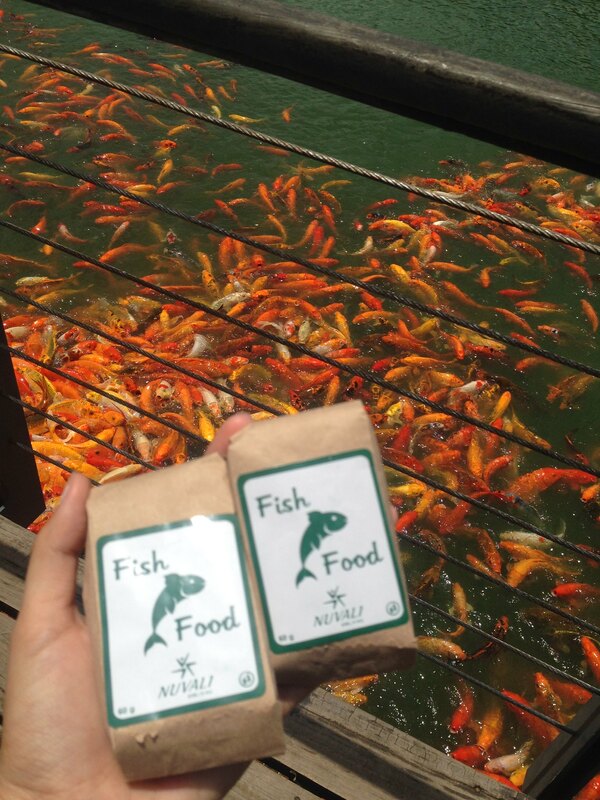 We bought 6 packs of fish food (Php15/pack) and they had so much fun feeding the fishies! 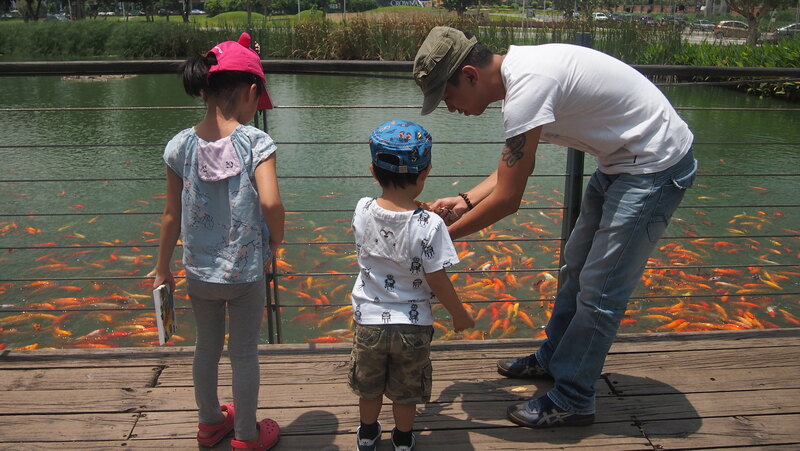 R kept laughing when the fishies jump all over. 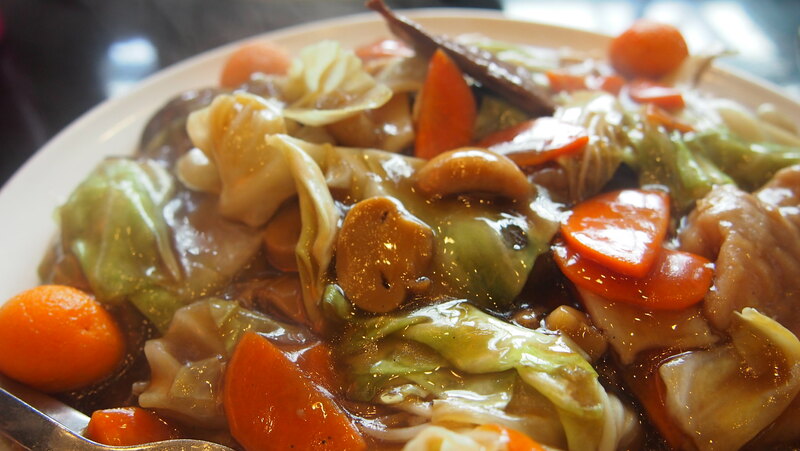 We had lunch at David's Tea House and ordered Birthday Noodles of course! Food was okay and service was bad but the place was packed. It was just ok but the kids loved it hehe! By the time we left Nuvali, the sky was getting dark and I wished and prayed that the weather to stay cloudy and not rain! And it didn't! 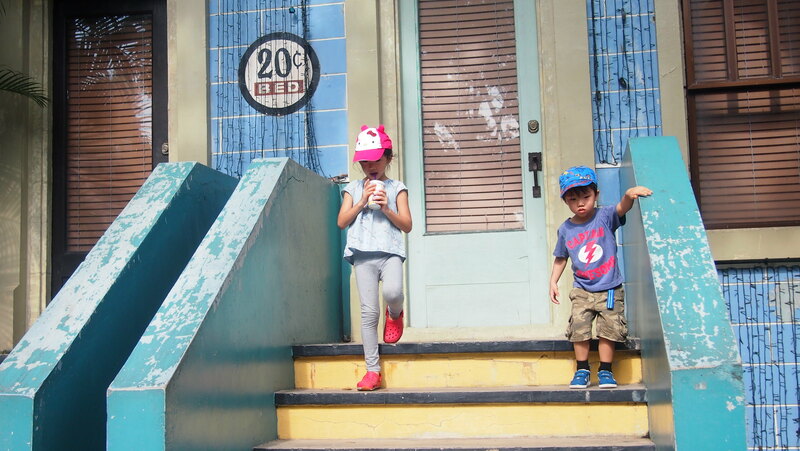 It was still hot and sunny when we got to Enchanted Kingdom. Kwento lang... 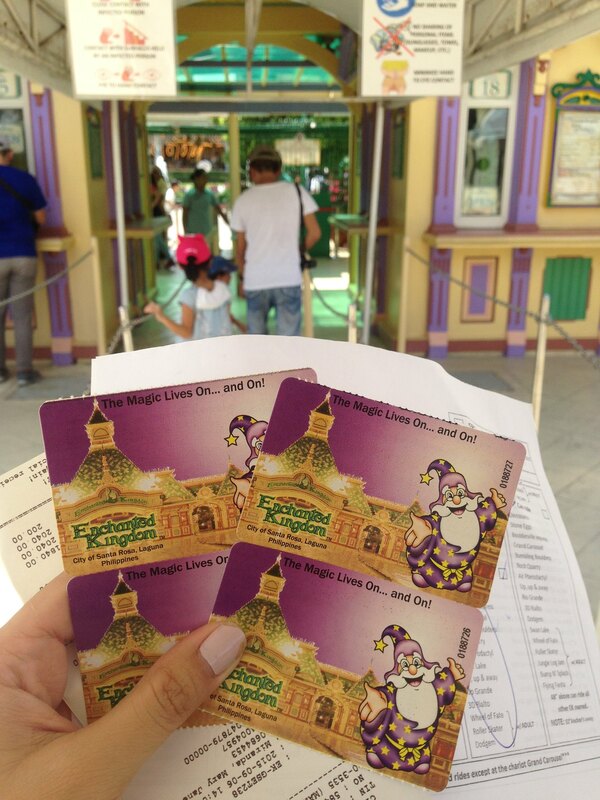 The last time BOS and I were in EK was when we were still dating! Hindi ko alam takot pala siya sa Anchors Away heehee! 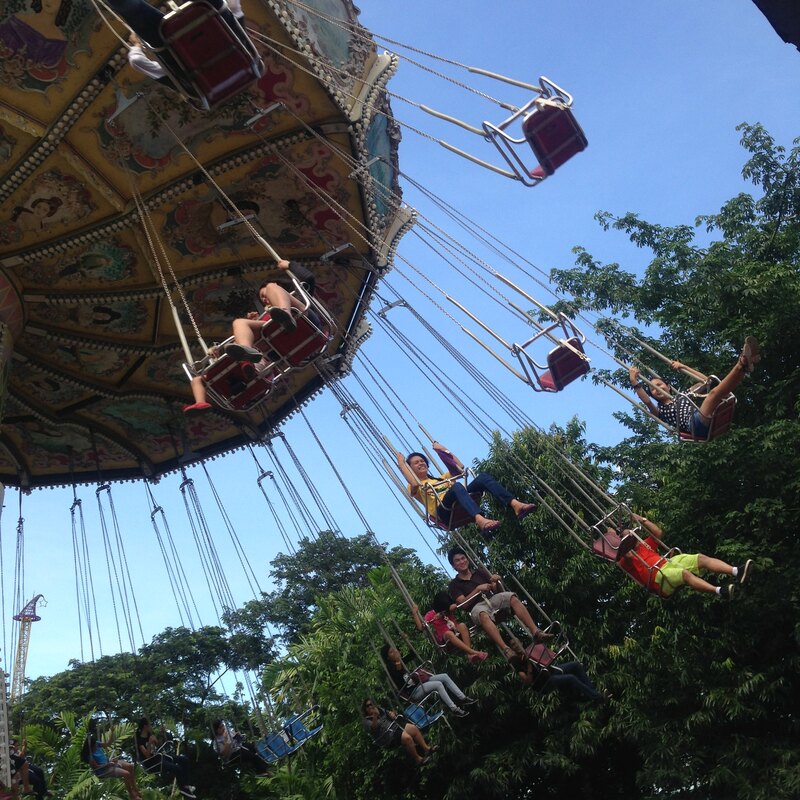 And I was such a thrillseeker, ride all you can talaga ako. Haha! 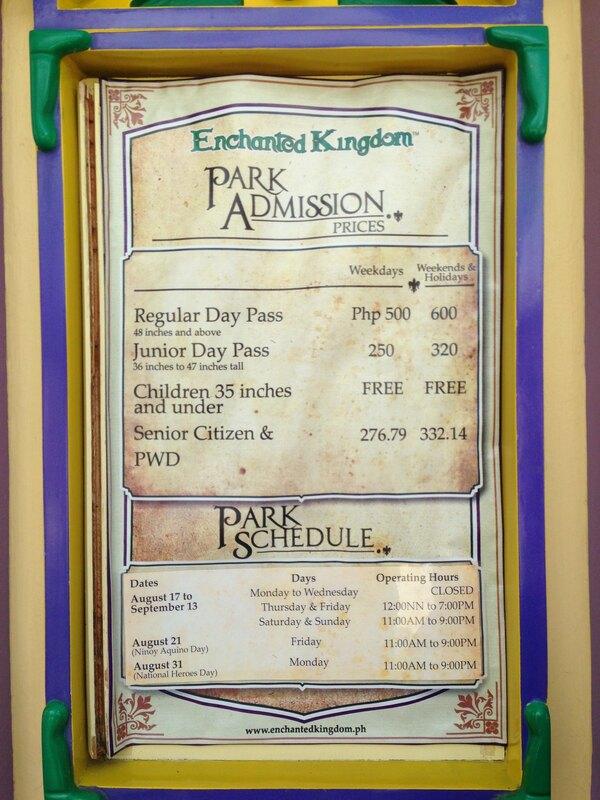 Welcome to Enchanted Kingdom! They were having a photo op while I was lining up for tickets. Before buying your tickets, there are EK attendants who would measure your kids's height and will give a small paper where they tick a list of rides your child is allowed to ride. 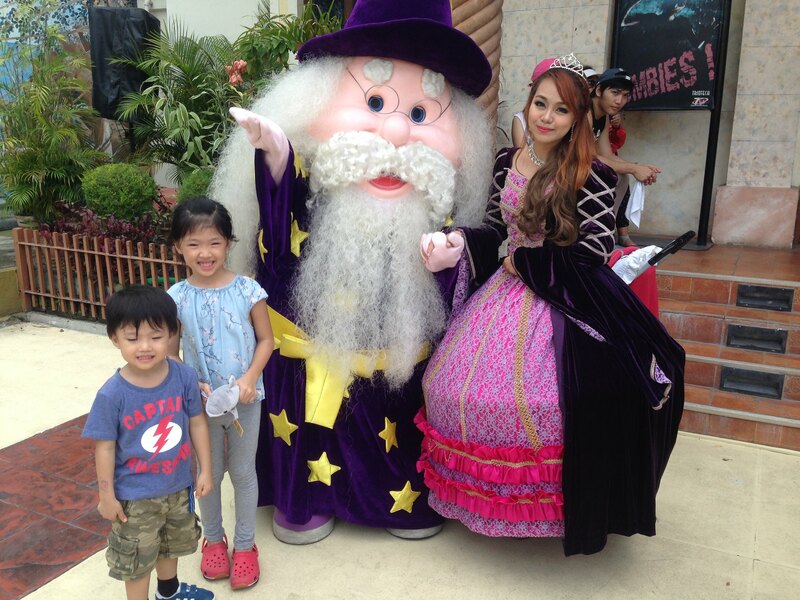 The kids had so much fun! It was a Sunday and I was expecting we were going to line up at every ride but surprisingly we didn't! There were lines but it was fast moving. 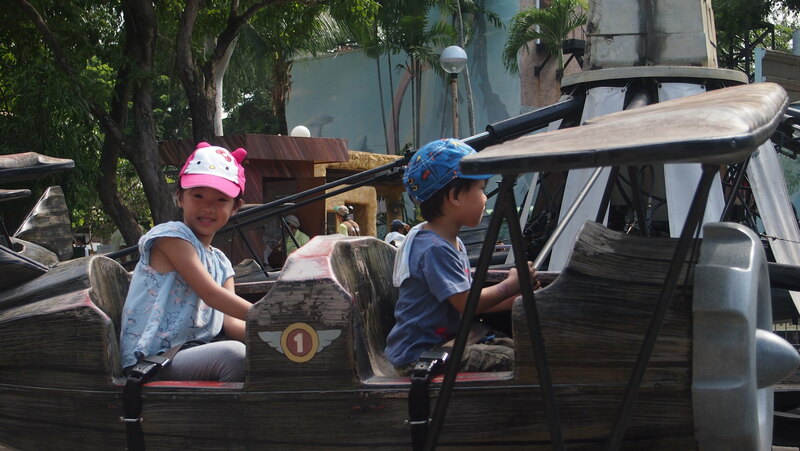 One of my favorite rides was the Flying Fiesta, I think it's one of Y's too because she asked to ride this again! 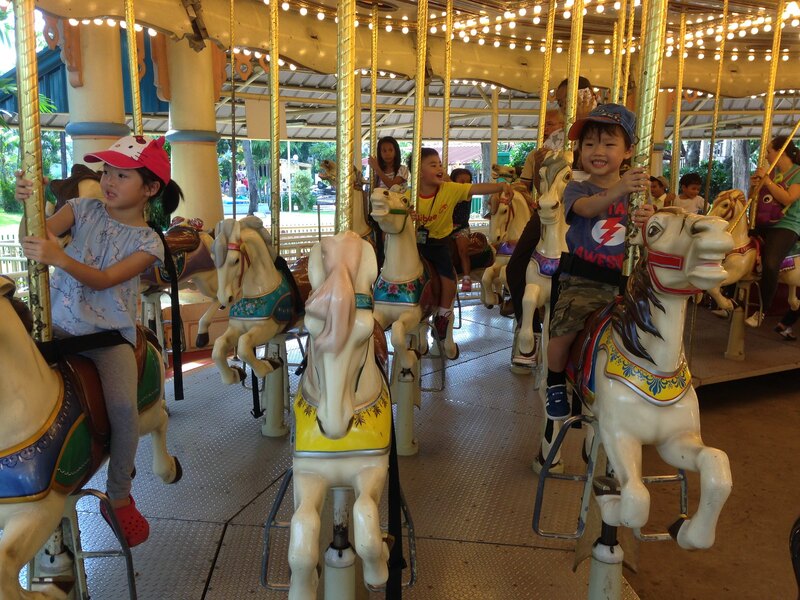 We got to ride almost all of the kiddie rides. R wasn't allowed on some rides including the bump car, go kart and the Flying Fiesta. Wawa nga kasi he wanted to ride cars! Di bale, we'll come back when you're bigger! Y wanted to have a photo with Eldar so we waited and went around to look for Eldar and we spotted him outside the 4D Theater. After doing all the rides the kids can do and since we (the parents) can't do the adult rides, we just went around the park and we found ourselves at the area where the game booths were. Kung si BOS KJ sa rides, ako ang KJ sa game booths! A game costs Php50 and you know naman sa ganitong set up, mahirap manalo diba? Itong si BOS naman ayaw magpatalo! 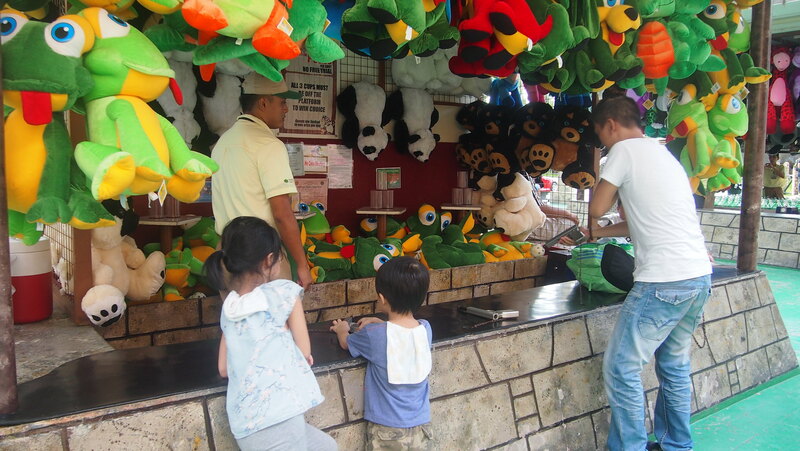 Kids wanted papa to win prizes and he won two mini stuff toys for the kids! Make sure to bring lots of water with you! While you can buy them at the park, it's better to bring your own na din rather than buying every time you get thirsty. There are food kiosks all over the park and one kiosk that really caught my eye was Ice Monsters! I really thought they don't exist anymore! 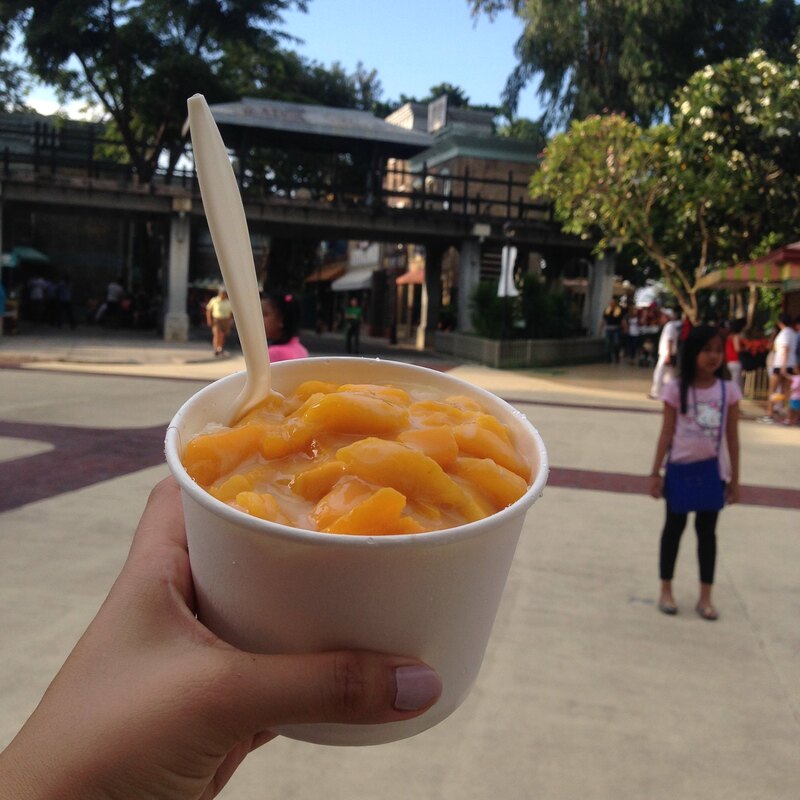 Mango Ice FTW! I missed this! My kids didn't want to try it so I'm happy wala akong ka-share! Hahaha! The kids were getting restless na around 5PM. We wanted to stay pa sana for the fireworks but Y has school pa the next day. We initially wanted to have dinner at EK but food choices is very limited (READ: hindi type ni BOS! Haha!). So we left the park and had dinner at Kanin Club in Paseo de Sta. Rosa! And this time I got to drive the Trailblazer. And I loved it! I'm not used to driving a bigger car but I certainly can get used to it! It's a heavy car to drive but has a very solid driving feel! 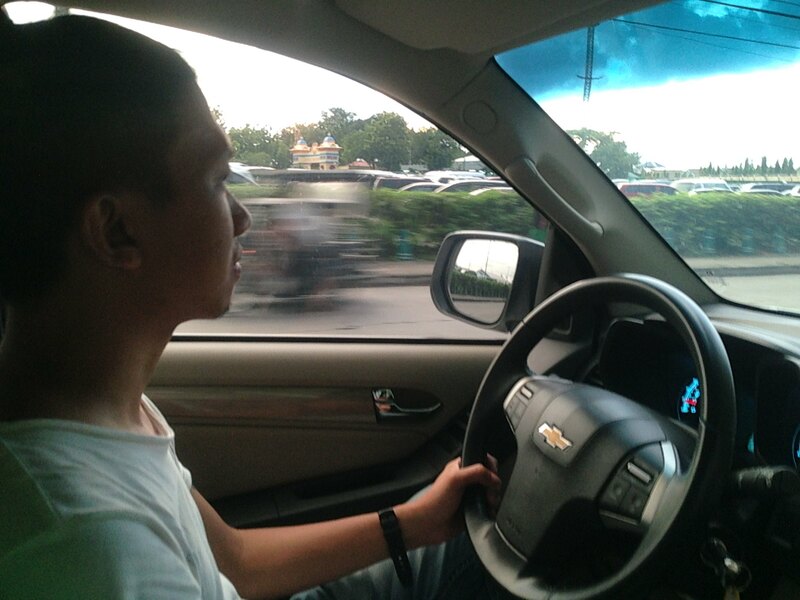 When I asked BOS what can he say about driving the Trailblazer, ang sagot niya "OK". Ok lang?? 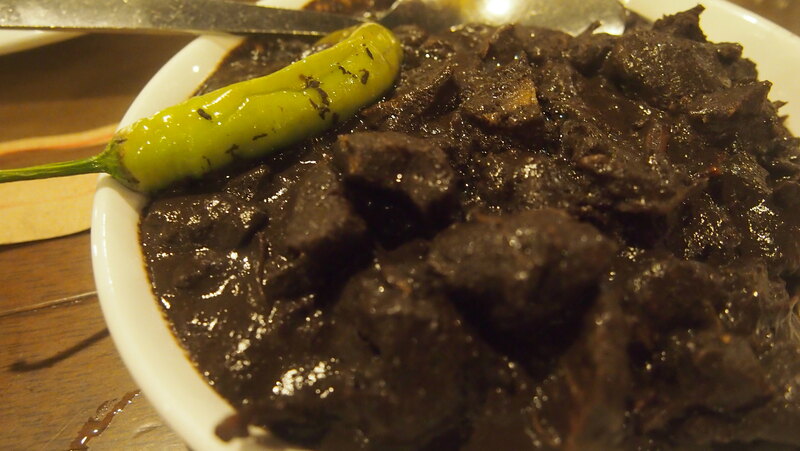 To which he answered, "OK, bili na tayo ng isa!" He really loves it! 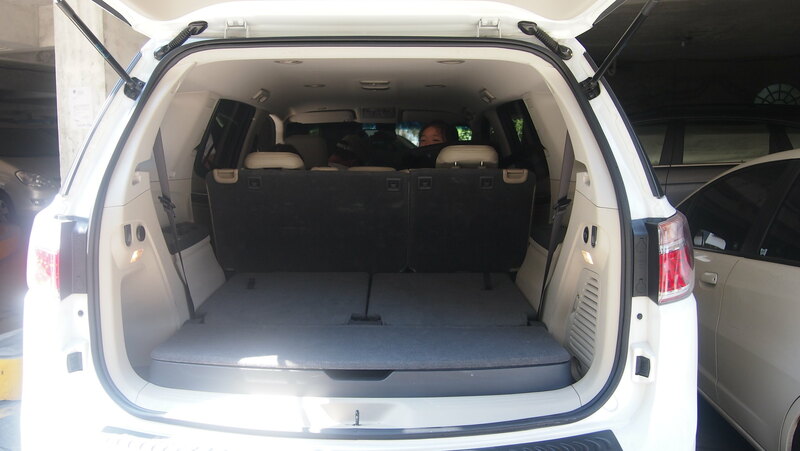 It's the perfect family car, perfect for our road trips and adventures. He's very impressed with how solid it is even when we hit a few potholes. You can feel the "lubak" pero walang tagtag. 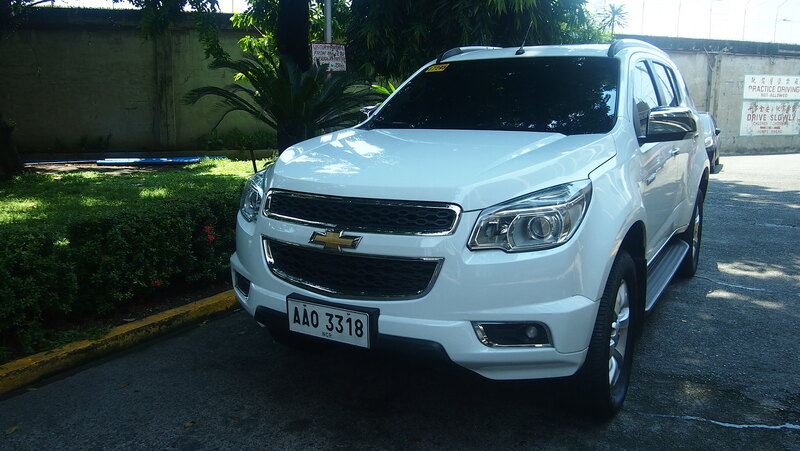 And if you buy a Chevrolet Trailblazer, not only you will take home a very powerful world-class-mid-size SUV, but you will also be assured of a worry-free ownership experience for a longer period of time. 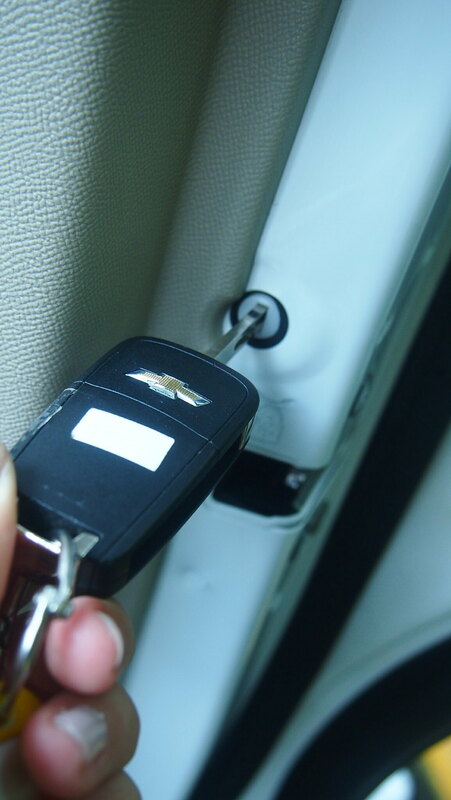 Assurance comes from the special vehicle warranty that covers the Trailblazer for 3 years plus a 2-year extended warranty for the Power Train or 100,000 kilometers, whichever comes first! 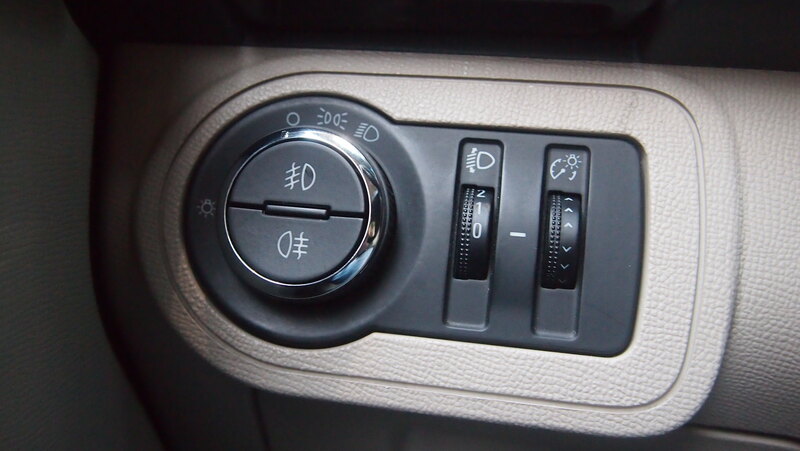 BOS loved these tail lamps and headlamps leveling control.! When we got to Paseo de Sta. Rosa, the kids didn't want to leave the car! "No papa! No mommy!" which I think it their way of telling me they really love the Trailblazer! This is where they'll sleep daw. Actually pwede nga, haha! They didn't want to have dinner because they wanted to play in the car. 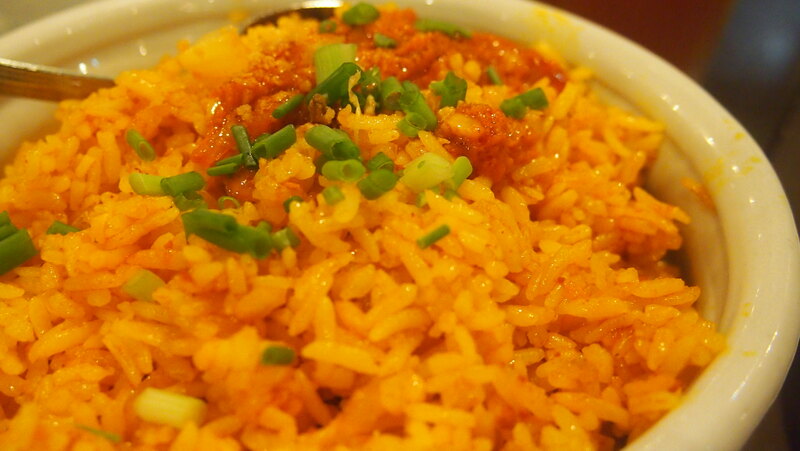 Kanin Club is as good as I remember! It was a packed Sunday, we had to wait for a table and after we were sat down, ordered our food, we also had to wait for our food but the wait was all worth it! 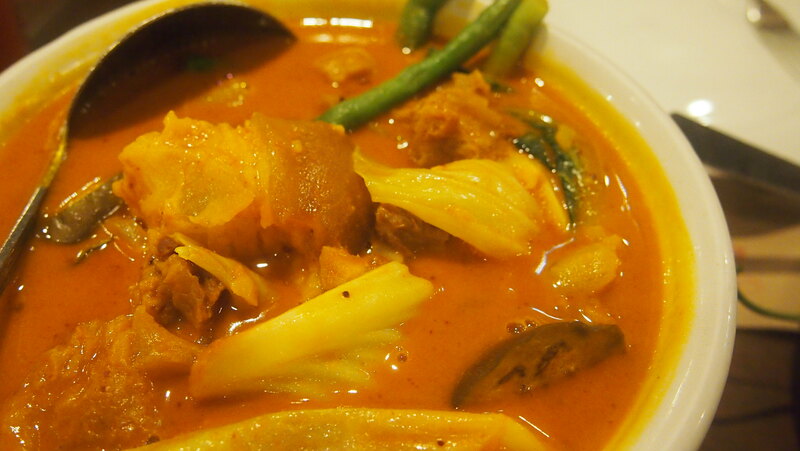 Kare-Kare. I like the Seafood Kare-Kare more than this and the bagoong was so good! 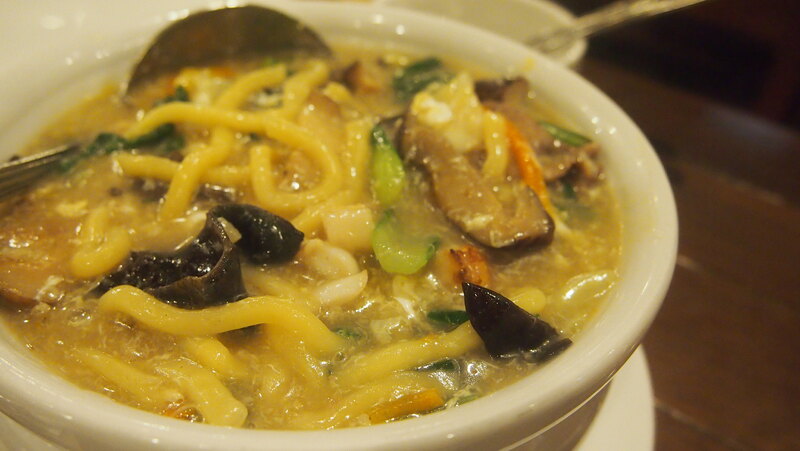 A bowl of warm lomi for the kids! 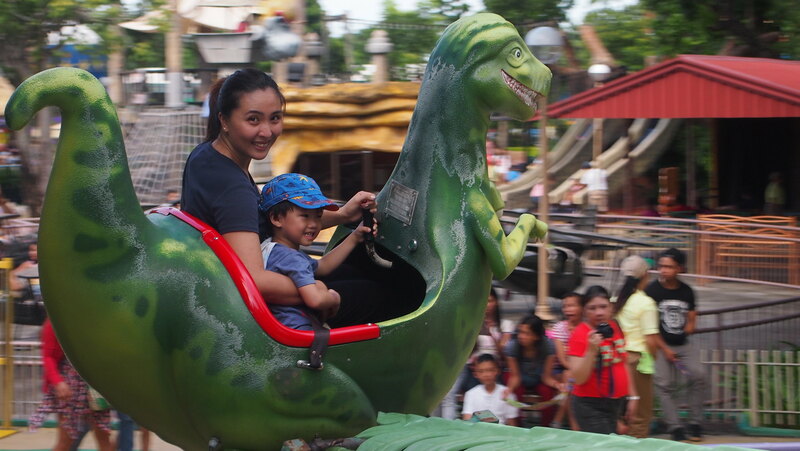 We had a super tiring yet super fun birthday weekend at Nuvali and Enchanted Kingdom! 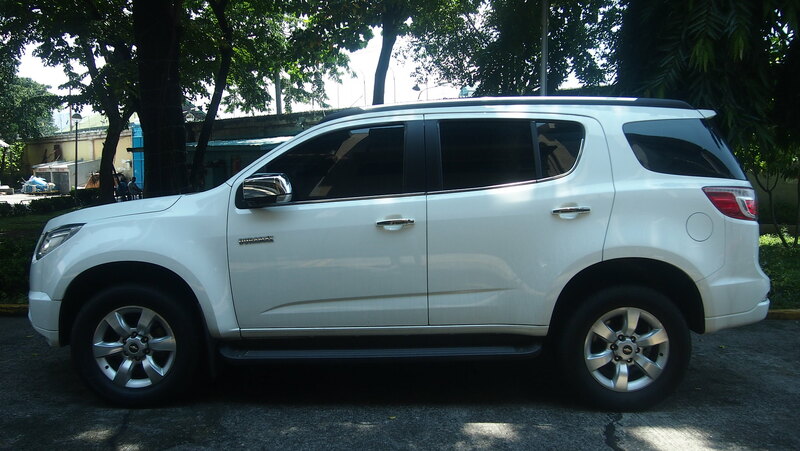 Thank you Chevrolet for making Y's birthday weekend extra special by lending us this super gwapo and awesome Trailblazer! I wish we didn't have to return this car. Heehee! 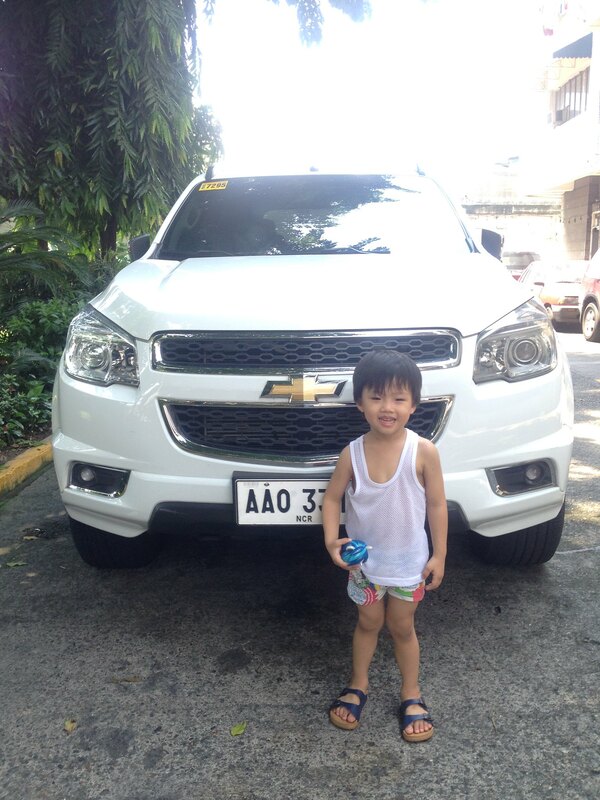 My little bugoy having one last photo with the "Transmormor" car. He didn't want to say goodbye. He keeps calling it our big white car! 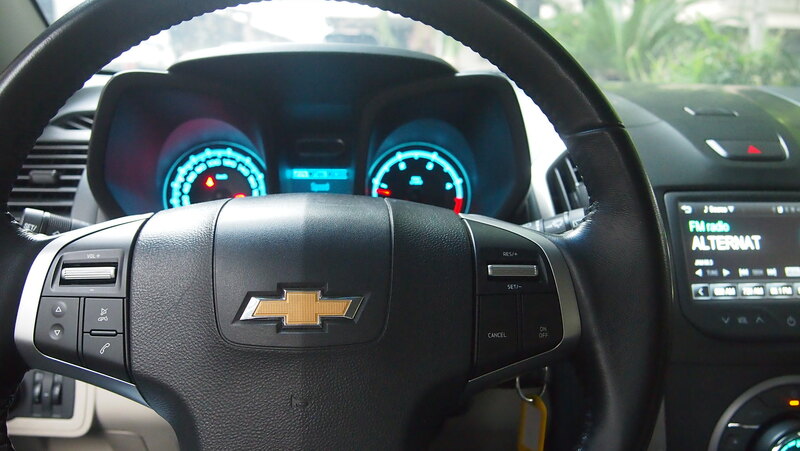 Thank you Chevrolet Philippines!